Six Twenty Seven: @CurlyNikki in Chicago Tomorrow!! Remember the hashtag for the night will be #curlynikkimotions on twitter... so keep things social and post tons of pics and event recaps! Please feel free to grab me and say hello if you see me there... looking forward to seeing all of the lovely curls. 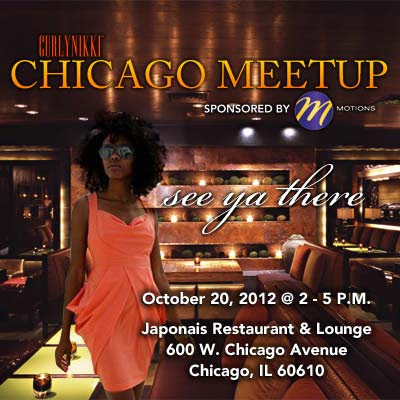 Let's show folks how Chicago ladies do it up!